Mary Russell counsels individual employees and founders to negotiate, maximize and monetize their stock options and other startup stock. She is an attorney and the founder of Stock Option Counsel. Big companies offer an ESPP as an employee benefit, but reading the rules and learning to play can make an ESPP more of a burden than a benefit. This blog series outlines how to maximize your ESPP benefits by learning to play to win. The examples in this series are all based on Cisco’s ESPP. It’s a good example because the Cisco ESPP is very generous in its discount calculation and also allows employees to control their risk by making changes to their contributions or withdrawing from the program. This is great for Cisco employees and also great for learning how to work an ESPP to work for you. Winning = Buy stock and sell it for more than you paid for it. An ESPP makes this win more likely than on a regular stock market bet because the company sells company stock through an ESPP at a discount from the market price. 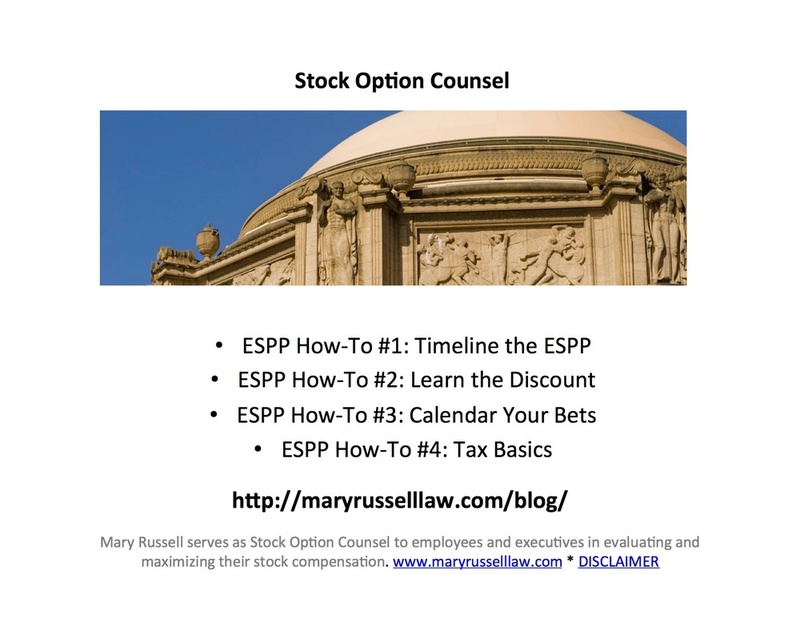 If you use your ESPP to buy stock at a discount and sell it immediately at the market price, you’ve almost surely made a winning bet. For example, Cisco allows immediate sales of ESPP stock and their discount is (at least) 15% on the date of purchase. If the market price for Cisco stock is $20 on the date of purchase, the discounted price would be (at most) $17, and an immediate sale of the stock would be a win of (at least) $3 per share. Losing = Buy stock and sell it for less than you paid for it. This happens if you continue to hold the stock after you purchase it (rather than selling it immediately) and the market price has dropped below your purchase price when you finally sell it.